We are Hearth Cook and Food Historians who use old recipes from Cookbooks of the 1800s. For the last quarter century we have searched the archives and have found bits and pieces about the daily lives of people both well-known and ordinary as it relates to foodways history. More recently we have made foodways presentations to various historical societies, the WV Museum Association, and Blennerhassett Island Historical State Park audiences. We have taught beginners Hearth Cooking and done hearth-cooking demos at Fort New Salem. 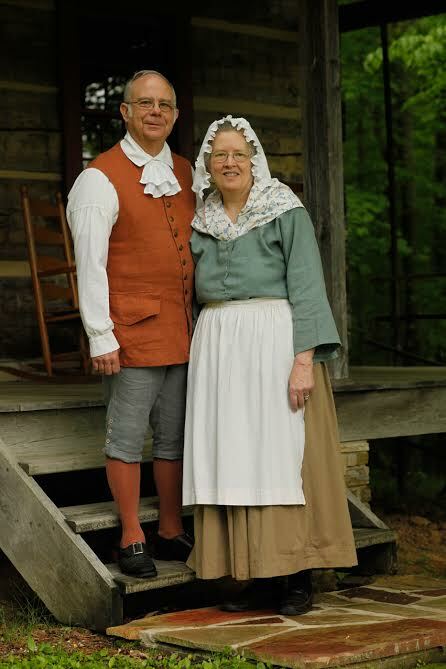 In 2015, the Hartleys were recognized as West Virginia History Heroes by the WV Division of Culture and History for their contributions as food historians and authors of The Frontier Table.